ORDINANCE NO. 11-08 AN ORDINANCE OF THE COUNTY OF PINELLAS, AMENDING SECTIONS 126-600 THROUGH 126-629 OF THE PINELLAS COUNTY CODE RELATING TO GREASE WASTE MANAGEMENT RESTRICTIONS; PROVIDING FOR INTENT OF THE ORDINANCE; PROVIDING FOR AN UPDATING OF DEFINITIONS; PROVIDING FOR DISPOSAL OF GREASE WASTE GENERATED OUTSIDE OF THE COUNTY AT COUNTY FACILITIES; PROVIDING FOR CONSISTENCY BETWEEN THE ORDINANCE AND THE FLORIDA BUILDING CODE; PROVIDING FOR VARIANCE FOR CLEANING FREQUENCY OF GREASE INTERCEPTORS AND GREASE TRAPS; PROVIDING FOR GREASE WASTE SERVICE RECORDS, PROVIDING FOR ELIMINATION OF SEPARATE LOAD REPORTING AT THE COUNTY GREASE RECEIVING FACILITY; PROVIDING FOR SEVERABILITY; PROVIDING FOR INCLUSION IN THE PINELLAS COUNTY CODE; PROVIDING FOR OTHER MODIFICATIONS THAT MAY ARISE FROM REVIEW OF THE ORDINANCE AT THE PUBLIC HEARING AND WITH RESPONSIBLE AUTHORITIES; PROVIDING FOR AN EFFECTIVE DATE. WHEREAS, grease waste management restrictions in Pinellas County have been in effect since 1999; and WHEREAS, the Pinellas County Board of County Commissioners passed Ordinance No. 05-42 on June 7, 2005, which provides regulations governing grease waste generators and haulers in order to manage grease wastes generated within the county in an environmentally sound manner; and WHEREAS, modification to the Pinellas County Code Sec. 126-600 through 126-629 modernizes the existing grease waste management program. Sec. 126-600. - Intent. This article provides regulations governing grease waste generators and grease waste haulers in order to manage grease wastes generated within the County in an environmentally sound manner. It provides for permitting and monitoring to ensure that the regulations are followed, and provides for the establishment of fees governing all regulated activities. Grease waste generators and grease waste haulers may also be subject to regulation under the Pinellas County Code, Chapter 126, Article IV, which governs connection and discharge to the County sewer system. Sec. 126-601. - Applicability. The conditions of this article are applicable to all food service establishments located within the legal boundaries of the County, including all incorporated and unincorporatedareas. The conditions of this article are also applicable to businesses providing grease waste collection and disposal services to customers located within the County. However, the conditions of this article will not apply within the sewer service area of a municipality which has adopted its own local ordinance regulating the generation, hauling, and disposal of grease. Facilities located outside of the County sewer service area should consult their sewer service provider to determine the applicability of this article to their facility. A grease removal device is a grease trap that has an automatic mechanism to remove the separated grease, oils, and fats. Grease waste. Wastes removed from grease interceptors, including grease traps, or grease removal devices at food service establishments. Grease waste hauler. A business which collects and transports grease waste to a disposal facility that is in compliance with all applicable federal, state and local laws and ordinances. A grease waste hauler may also provide other services to a food service establishment related to grease interceptor or grease trap maintenance. Plumbing oflcial. Plumbing official shall mean the individual, board, department, or agency established and authorized by state, county, city or other political subdivision created by law to administer and enforce the provisions of the Florida Building CodePlumbing, Chapter 10. The plumbing official shall enforce the provisions of the Florida Building Code-Plumbing within the property lines of the premises. Wastewater treatment facility (WWTF). A "treatment works," as defined by Section 212 of the Act (33 U.S.C. 5 1292). This definition includes any devices or systems used in the collection, storage, treatment, recycling, and reclamation of sewage or industrial wastes of a liquid nature and any conveyances which convey wastewater to a treatment plant. Sec. 126-603. - Administration and Enforcement. The administration and enforcement of this article is vested in the County Administrator or his designee. Sec. 126-605. - Fee for Disposal at Pinellas County Facilities. A service fee has been established in the Pinellas County Sewer System Schedule of Rates and Fees to cover treatment, disposal and associated administrative costs for grease waste disposal services at county-owned facilities. Fees may be adjusted periodically so as to reflect changes in the cost of providing treatment, disposal and associated administrative services. Any food service establishment generating grease waste within the retail and wholesale sewer service area of Pinellas County must obtain a food service establishment permit from the county. The county shall approve, deny, or approve with special conditions, all applications for such authorization within 30 days of receipt, in accordance with the policies and regulations established herein. Each food service establishment permit approved by the county shall be effective for a period of one year, and may include special conditions as required by the county. Food service establishments will be subject to permit fees for the amount specified in the Pinellas County Sewer System Schedule of Rates and Fees. The food service establishment permit required by the county shall be in addition to any other permits, registrations, or occupational licenses which may be required by federal, state, or local agencies having lawful jurisdiction. Name of applicant. If the applicant is a partnership, corporation or other business entity, the name of the individual who is able to legally act on behalf of the organization, must be provided. Applicant address and phone number, including information of person(s) to be contacted at times other than regular business hours. Number of employees, number and times of shifts, and hours and days of operations. A description of the activities, facilities, and processes on the premises. A drawing of sufficient detail to show the location of all fixtures that introduce fats oils, or grease into the sewer system, and all sewers, floor drains, sewer connections and grease interceptors and appurtenances if known. The applicant must submit a copy of any other permits, registrations, or occupational licenses which may be required by federal, state, or local agencies having lawful jurisdiction. A signed statement that the information provided is accurate, and that the applicant agrees to abide by the regulations contained in this article, as well as all applicable federal, state, and local regulations governing their activities. Sec. 126-608. - Food Service Establishment Permit Contents. All approved food service establishment permits shall include a statement of the duration of the permit, including the expiration date, standard conditions relating to permit renewal and recision. A statement that the permit is not transferable under any circumstances, a statement that service records must be retained at the facility for a period of three years, and any applicable special conditions. Sec. 126-609. - Food Service Establishment Permit Renewal. An application for permit renewal shall be submitted at least 60 days prior to the expiration date of the existing permit by each applicant wishing to discharge grease wastes from facilities located in the retail and wholesale sewer service area of Pinellas County. Operating a food service establishment generating grease wastes within the retail and wholesale sewer service area of Pinellas County without a permit is a violation of this article. Food service establishments will be subject to permit fees for the amount specified in the Pinellas County Sewer System Schedule of Rates and Fees. Any food service establishment permit approved by the county may be revoked in the event the applicant fails to abide by conditions established in this article, or within their approved permit. Authorization to discharge may be withdrawn for the following reasons: Falsifying information on any record or document required by the county; or (a) Failure to service a grease interceptor by a grease hauler permitted by the county; (b) or Failure to comply with any permit condition; or (c) Violation of any federal, state, or local regulation governing the handling of (d) grease wastes; or Failure to pay any invoices, fees, or fines required by the county. (e) The revocation of authorization to operate in the retail and wholesale sewer service area of Pinellas County shall be in addition to any penalties applied for violation of this article. Sec. 126-611. - Grease Interceptor and Grease Trap Requirements. All food service establishments are required to have a grease interceptor or grease trap, with the exception of private residences. The requirements in this article supplement those provided in the Florida Building Code-Plumbing, Chapter 10. Food service establishments may share a common grease interceptor. All food service establishments sharing a grease interceptor shall be jointly and severably liable for all grease interceptor maintenance requirements as provided for in Section 126-613.
upgrade or replace the existing interceptor or trap upon a significant change in the determinative factors for grease interceptor or grease trap sizing, including seating capacity increases, as stated in this ordinance andlor the Florida Building CodePlumbing, Chapter 10. All interceptor units shall be of the type and capacity specified by a plumbing contractor or design professional as required by the Florida Building codePlumbing, Chapter 1 Administrative and approved by the plumbing official. All existing food service establishments shall notify Pinellas County of any changes in the grease interceptor or grease trap sizing factors described above within 60 days of the change(s). Interceptor upgrades may also be required if a grease waste discharge causes the accumulation of grease downstream of the food service establishment, reduces the capacity of the sewer system, or causes adverse impacts on the operation of the sewer system. New food service establishments shall have a grease interceptor or grease trap of the type and capacity specified by the project design professional and approved by the plumbing official. Interceptors shall be located and designed so as to be easily accessible for inspection and maintenance to assure compliance with Section 126-613(c). Grease interceptor design shall be as provided in Section 126-612, except where otherwise required or authorized by this article or the county. Grease traps are prohibited in new construction except where specifically authorized by the plumbing official. Grease interceptor and grease trap design is based upon the requirements found in FAC 64E-6 (Department of Health), the Florida Building Code-Plumbing, Chapter 10 and must meet the requirements of Section 126-6 1l(3). Interceptor design and installation must be approved by the plumbing official and shall be in accordance with any other Federal, State or Local regulation. Interceptor and trap sizing shall be in accordance with the Florida Building CodePlumbing, Chapter 10. Grease interceptors shall be pumped at a frequency such as to maintain a grease layer of less than six inches on top of the interceptor and a solids layer of less than eight inches on bottom of the interceptor. The measurement point for determination of the grease and solids layer shall be adjacent to the outlet pipe. All grease interceptors shall be pumped at a minimum frequency of once for every 30 days, unless an alternate frequency is approved by the county. In no instance shall a variance exceed 180 days. An approved variance will be null and void if the variance pumping frequency is not adhered to, and shall revert to the 30 day frequency. More frequent pumping may be required to meet the article requirements above. The county may also mandate more frequent pumping based on inspection results and sewer system capacity. Pumping frequency variances are not transferable. Grease traps or grease removal devices shall be cleaned at a minimum frequency of once per week, or more often as necessary to prevent pass-through of grease and other food solids. The minimum cleaning frequency may be modified upon authorization by the county. The date and time of this cleaning shall be recorded in a bound logbook, which shall be made available for review upon request by the county. Any person, firm, or business desirous of collecting, pumping or hauling grease wastes from businesses located within the county must obtain a grease waste hauler permit from the county. The county shall approve, deny, or approve with special conditions, all applications for such authorization within 30 days of receipt, in accordance with the policies and regulations established herein. Each grease waste hauler permit approved by the county shall be effective for a period of three years, and may include special conditions as required by the county. Grease waste haulers will be subject to permit and vehicle fees for the amount specified in the Pinellas County Sewer System Schedule of Rates and Fees. A permit number will be assigned to each grease waste hauler business, and vehicle decals shall be provided by the county which must be prominently displayed on the drivers' side door of each vehicle. Only permitted vehicles with a properly displayed decal may be used to collect grease in the county. The grease waste hauler permit required by the county shall be in addition to any other permits, registrations, or occupational licenses which may be required by federal, state, or local agencies having lawful jurisdiction. The type, license tag number, and capacity of each vehicle which will be used to pump or haul grease wastes. New or replacement equipment acquired subsequent to the application shall be reported to the county prior to use. The applicant must provide proof of insurance for all listed vehicles. The applicant must provide a copy of a current State of Florida Health Department license if they will be pumping or hauling septic tank or potable toilet wastes. Each applicant must provide financial assurance in the amount of $10,000.00 in a form acceptable to the county. Such assurance shall remain in effect for the life of the permit. This assurance shall be used to guarantee disposal costs, fees, fines, and the costs of any damages that may result from a grease waste hauler discharging in violation of this article. The applicant must list all disposal facilities or sites that they intend to use and the estimated yearly gallons of grease waste to be disposed of at each location. Each application must include a signed statement that the information provided is accurate, and that the applicant agrees to abide by the regulations contained in this article, as well as any other applicable federal, state or local regulations governing their activities. All grease interceptors shall be serviced in accordance with the requirements of this article. Excessive solids shall be scraped from the walls and baffles, and inlet, outlet and baffle ports will be cleared. The requirement to inspect and document structural integrity and compliance with grease trap design and operational criteria, and note any deficiencies on the service record. Sec. 126-617. - Grease Waste Hauler Permit Renewal. An application for permit renewal shall be submitted at least 60 days prior to the expiration date of the existing permit by each applicant wishing to haul wastes from facilities located in the county. A grease waste hauler shall be ineligible to make application for a new or renewal permit for a period of six months following revocation. Providing hauling services within the county without a permit is a violation of this article. Grease waste haulers will be subject to permit fees for the amount specified in the Pinellas County Sewer System Schedule of Rates and Fees. Sec. 126-618. - Grease Waste Hauler Permit Revocation. Any grease waste hauler permit approved by the county may be revoked in the event the applicant fails to abide by conditions established in this article, or within their approved permit. Authorization to operate may be withdrawn for the following reasons: Falsifying information on any record or document required by the county; or (a) Discharging wastes other than those authorized by the approved permit to a (b) Pinellas County WWTF or FOG Facility or a connected system, including wastes which are prohibited under Section 126-327 and 126-329 of the Pinellas County Code; or Discharging any waste into a non-authorized location; or (c) Failure to maintain financial assurance as required under Section 126-615; or (d) Failure to pay any invoices, fees or fines required by the county; or (e) Collection of grease using a vehicle which is not permitted, or which does not (f) display a valid decal in the proper location; or Failure to comply with any other permit condition; or (g) Violation of any other federal, state, or local regulation or ordinance pertaining to (h) the collection, transport and disposal of grease or other regulated wastes. The revocation of authorization to operate in county areas shall be in addition to any (2) penalties applied for violation of this article. A separate service record shall be completed for each food service establishment served. The county will provide an example service record format with each grease waste hauler permit. The service record shall contain the following information: (a) Origin ofwaste. Customer name, address served, telephone number, and amount of waste removed from interceptor; and Interceptor condition. Condition of walls, inlet and outlet pipes and baffles. (b) Thickness of grease cap and bottom solids; and Hauler information. Hauler name and the county permit number; and (c) Disposal information. Date, time, facility name, address, phone number, and (d) contact name for the location where the waste was disposed, including the receipt or ticket number provided by the disposal facility for billing purposes; and CertlJication statement, worded exactly as provided below: (e) "This is to certify that the above information is accurate and that the subject wastes contain only food wastes, and there are no sanitary wastes, industrial wastes or toxic substances present. I further certify that the interceptor was serviced in accordance with Section 126-6 13. I understand that falsification of this information is a violation of the Pinellas County Code, and is subject to enforcement in accordance with the Code. Upon completion of service, the service record must be signed by both the customer and the grease waste hauler, documenting that the information contained in the service record is accurate. The grease waste hauler is responsible for distribution of the service record. One copy of the service record is retained by the generator and the other is retained by the grease waste hauler. All service records shall be retained onsite for a period of not less than three years by both the generator and hauler. All grease waste service record information shall be entered into the computerized online grease waste tracking system no later than 5 business days after a food service establishment's grease interceptor or grease trap has been serviced. Sec. 126-620. - Spill Reporting. Grease waste haulers and food service establishments subject to the requirements of this article shall retain, and provide for audit, all records of information related to interceptor maintenance and grease disposal. These records shall remain available for a period of at least three years. The county may require additional recordkeeping and reporting, as necessary, to ensure compliance and meet the intent of this article. Sec. 126-622. - Permit Transfers. Permits issued under this article are not transferable under any circumstances. Sec. 126-623. - Penalty for Violation of Article. Failure to comply with the requirements of this article or with the provisions of any permit or approval granted or authorized under this article shall constitute a violation of this article. Violations of the provisions of this article shall be punishable by the administrative remedies provided in Section 126-625 and/or the penalties provided in Section 126-626. If a violation is continued, each day of such violation shall constitute a separate offense. Sec. 126-624. - Administrative Remedies. the violation and a plan for the satisfactory correction and prevention thereof shall be submitted to the county. Submission of this plan in no w a y relieves the business of liability for any violations occurring before or after receipt of the notice of violation. Nothing in this section shall limit the authority of the county to take any other enforcement action without first issuing a notice of violation. Administrative Penalty. When the county finds that a business has violated any provision of this article, the county may institute a civil action in court of competent jurisdiction to penalize such business in an amount not to exceed $5,000.00. Such penalties shall be assessed on a per violation, per day basis. Civil penalties may be issued in conjunction with other administrative enforcement actions. In determining the amount of civil liability, the court shall take into account all relevant circumstances, including, but not limited to, the extent of harm caused by the violation, the magnitude and duration o f the violation, any economic benefit gained through the business's violation, corrective actions by the business, the compliance history of the business, and any other factor as justice requires. Enforcement guidelines are provided in the Pinellas County Utilities Enforcement Response Guide. Depending upon the nature and severity of the violation, penalties may be waived for the first instance. Consent Order. The county may enter into consent orders, compliance agreements, assurances of voluntary compliance, or other similar documents establishing an agreement with any business responsible for noncompliance. Such documents will include specific actions to be taken by the business to correct the noncompliance within a time period specified by the document. Such documents shall be judicially enforceable. A consent order may include, but shall not be limited to, the following items: 1. Required corrective actions, including but not limited to submittal of service records for interceptor maintenance, immediate pumpout of the grease interceptor, or establishment of an ongoing contract with a permitted grease waste hauler. When required by the county, the facility manager and/or other designated employee shall attend an educational program approved by the county. This program will cover kitchen practices, food handling and waste disposal procedures to minimize loading on the grease interceptor, as well as explaining grease interceptor design, operation and maintenance. 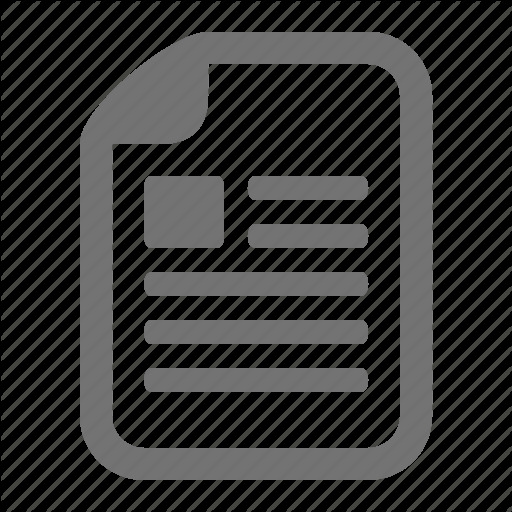 Requirement for submittal of plans for installation or upgrade of grease 2. interceptors, including time frames for preparation of plans, acquisition of necessary equipment, initiation of construction (including time for permit approval, where required), completion of construction, and a date for achievement of final compliance with the provisions of the consent order and of this article; and Payment of a monetary settlement as provided in the Pinellas County 3. Environmental Enforcement Act (Sections 58-26 through 58-34). Permit Revocation. The county may revoke an approved grease waste hauler permit or food service establishment permit under the conditions specified in Section 126-6 18 or Section 126-610. The county may recover reasonable attorneys' fees, court costs, a n d other expenses associated with enforcement activities, including sampling and monitoring expenses, and the cost of any actual damages incurred by the county in accordance with the Pinellas County Environmental Enforcement Act. Filing a suit for civil penalties shall not be a bar against, or a prerequisite for, taking any other action against a user. upon a finding that allowing continued operation under the permit constitutes a clear and present danger to the health, safety or welfare of the public, the environment, or a WWTF operated by Pinellas County. Any such finding shall be included in the notification sent to the permittee and shall result in the immediate revocation of the permit. Where a user has security measures in force which require proper identification and clearance before entry into its premises, the user shall make necessary arrangements with its security guards so that, upon presentation of suitable identification, the control authority will be permitted to enter without delay for the purposes of performing specific responsibilities. Any temporary or permanent obstruction to safe and easy access to the facility to be inspected and/or sampled shall be promptly removed by the user at the written or verbal request of the control authority and shall not be replaced. The costs of clearing such access shall be borne by the user. Unreasonable delays in allowing the control authority access to the user's premises shall be a violation of this article. If the County has been refused access to a building, structure, or property, or any part thereof, and is able to demonstrate probable cause to believe that there may be a violation of this article, or that there is a need to inspect and/or sample as part of a routine inspection and sampling program of the County designed to verify compliance with this article or any permit or order issued hereunder, or to protect the overall public health, safety and welfare of the community, then the control authority may seek issuance of a search warrant from the appropriate court. Section 2. If any section, subsection, sentence, clause, phrase, or provision of this Ordinance is for any reason held invalid or unconstitutional by any Court of competent jurisdiction, such holding shall not be construed to render the remaining provision of this Ordinance invalid or unconstitutional. Inclusion in the Pinellas County Code. The provisions of this Ordinance shall be included and incorporated in the Pinellas County Code, as an addition or amendment thereto, and shall be appropriately renumbered to conform to the uniform numbering system of the Pinellas County Code. Section 4. Amendment of Proposed Ordinance at Public Hearing. If any section, subsection, sentence, clause, phrase, or provisions of this Ordinance as proposed may be amended, added, or deleted by majority vote of the Board of County Commissions as a result of matters raised at the public hearing or in consultation with responsible authorities, then such amendments, additions, or deletions shall be validly adopted without additional advertisement or public hearing. Section 5. Filing of Ordinance; Effective Date. Pursuant to Section 125.66, Fla. Stat., a certified copy of this Ordinance shall be filed with the Department of State by the Clerk of the Board of County Commissioners within ten (1 0) days after enactment by the Board of County Commissioners. This Ordinance shall become effective upon filing of the Ordinance with the Department of State. ORDINANCE NO. 11-08 AN ORDINANCE OF THE COUNTY OF PINELLAS, AMENDING SECTIONS 126-600 THROUGH 126-629 OF THE PINELLAS COUNTY CODE RELATING TO GREASE WASTE MANAGEMENT RESTRICTIONS; PROVIDING FOR INTENT OF THE ORDINANCE; PROVIDING FOR AN UPDATING OF DEFINITIONS; PROVIDING FOR DISPOSAL OF GREASE WASTE GENERATED OUTSIDE OF THE COUNTY AT COUNTY FACILITIES; PROVIDING FOR CONSISTENCY BETWEEN THE ORDINANCE AND THE FLORIDA BUILDING CODE; PROVIDING FOR VARIANCE FOR CLEANING FREQUENCY OF GREASE INTERCEPTORS AND GREASE TRAPS; PROVIDING FOR GREASE WASTE SERVICE RECORDS, PROVIDING FOR ELIMINATION OF SEEARATE LOAD REPORTING AT THE COUNTY GREASE RECEIVING FACILITY; PROVIDING FOR SEVERABILITY; PROVIDING FOR INCLUSION IN THE PINELLAS COUNTY CODE; PROVIDING FOR OTHER MODIFICATIONS THAT MAY ARISE FROM REVIEW OF THE ORDINANCE AT THE PUBLIC HEARING AND WITH RESPONSIBLE AUTHORITIES; PROVIDING FOR AN EFFECTIVE DATE. IN WI-TNESS WHEREOF, I hereunto set my hand and official seal this March 23, 201 1.